If You Don't Have An AR-15 Pistol Yet, Now Is The Perfect Time To Build One. At This Price There's No Reason Not To Add One To Your Arsenal. This Pistol Upper Kit Once Assembled With Your Favorite Lower And Brace, Will Easily Fit Into Any Collection & Take Up Minimal Space. This .223 Wylde Assembled Upper Offers Amazing Stopping Power And Accuracy Which Makes It The Perfect Option For An AR Pistol. We’ve Felt That This Amazing Blend Of Attributes Made This Kit Adaptable In Its Use And Ability To Be Used Anywhere Under Every Circumstance. The Omega MFG. 7” Premium KeyMod Quad Rail Handguard Allows You To Comfortably Grip Your Rifle With Various Shooting Positions & Securely Mount A Variety Of Accessories. Made Of Aircraft Grade 6061 T6 Aluminum. Finished In Type III Mil-Spec Type Anodized Finish. 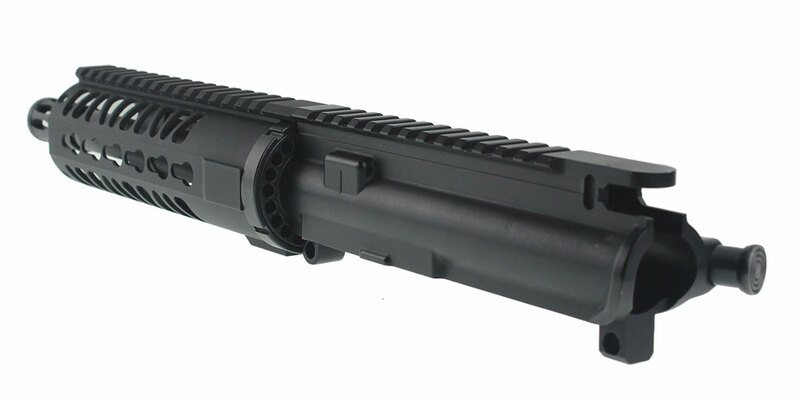 This Is A Mil-Spec A2 Flash Hider From Omega MFG. 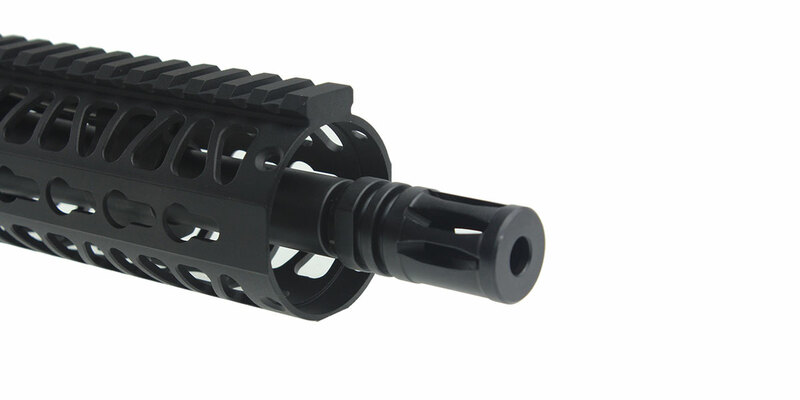 This Is The Best Working Flash Hider For The Money, It Is Hard To Find A Better Performing Muzzle Device For The Money. So, If It Ain't Broke Don't Fix It Is The Old Motto. This Government Spec Flash Hider Is Designed To Disperse Gases & Direct The Flash Away From The Shooter’s Line Of Sight As Well As Help Manage Recoil. Also Including An Omega Manufacturing Charging Handle. This Charging Handle Is Manufactured And Assembled By Omega Manufacturing Inc.
KAK Industries Ar-15 Mil-spec Lower Parts Kit. It Includes All The Small Parts Needed To Complete Your Lower. 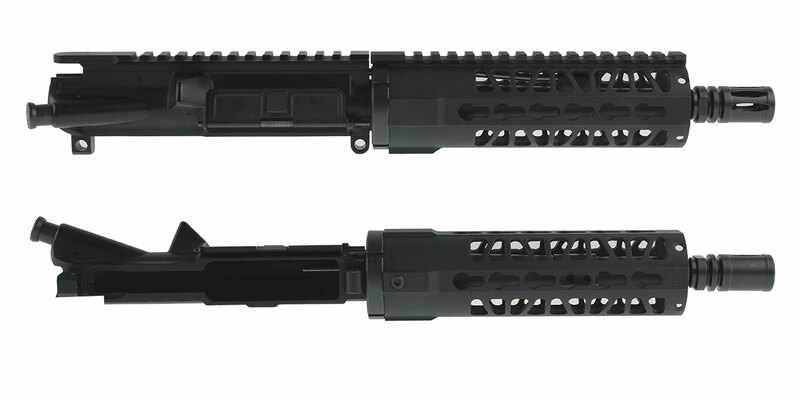 This Upper Also Includes A Trinity Force Breach Pistol Stabilizer Brace. This Brace Is ATF Approved For Use With AR-15 Pistols. This Brace Does Not Need Special Tools For Installation. 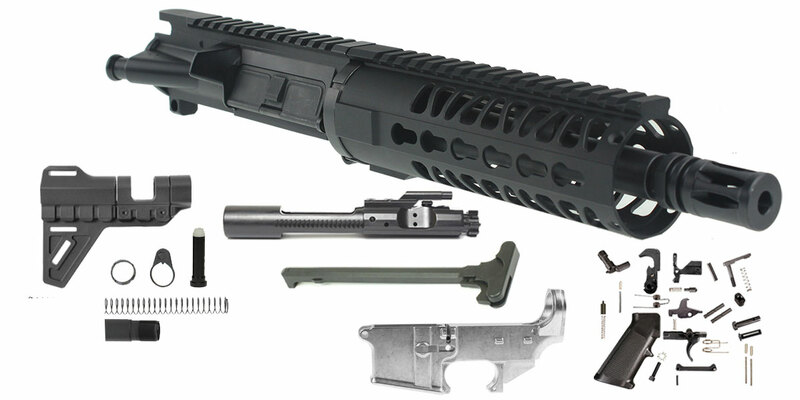 Last But Not Least, This Kit Includes An 80% Lower Receiver From US Tactical. This 80% Lower Is Made For The AR-15 Platform. Made From 7075-T6 Aluminum, This Lower Is Made For A High Quality Weapon. Save Money By Building Your Own AR-15 Rifle From The Ground Up Exactly The Way You Want It Configured.